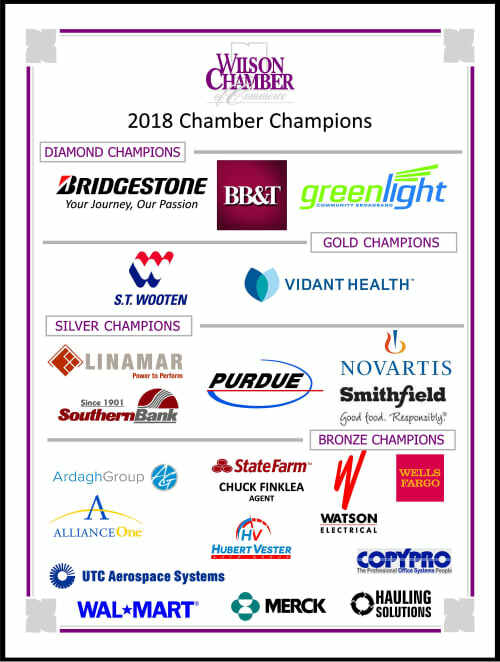 Chamber Champions at our Diamond-level membership tier have achieved the pinnacle of business success in Wilson. 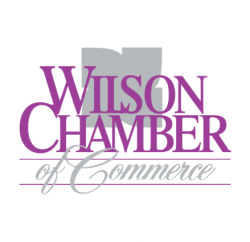 BB&T was founded in Wilson in 1872 - one of the few remaining businesses that predate the founding of the Chamber in 1897. It has grown to become one of the largest and most respected banks in the United States, and was the only bank in Wilson to survive the Great Depression. While the bank headquarters has since moved to Winston-Salem, BB&T remains one of Wilson's largest employers. The 1903 Branch Bank & Trust Building still exists at the corner of Nash and Goldsboro Streets in historic downtown Wilson, and is now home to the Wilson Arts Council. Bridgestone Americas Tire Operations has grown to become Wilson County's largest industrial employer, having operated continuously since 1974. The tire manufacturer has attained numerous accolades for its environmental stewardship, production efficiency, and employee relations. In recent years, the plant has announced several expansions, becoming one of the most productive facilities in the Bridgestone portfolio. Greenlight Community Broadband is Wilson's citizen-owned fiber optic broadband network. The network provides fiber-to-the-home capability to every residence in the city limits, with capacity surpassing gigabit speed. Considered among the state's most innovative infrastructure projects, Greenlight has earned Wilson the title of North Carolina's "Gigabit City". Because the service is community-owned, the service has become an affordable - yet invaluable - engine for economic growth in Wilson.